Congratulations to Vic Coombs who braved the searing heat of Watford's Woodside pool over the weekend despite not having a swimmer at the competition to qualify as a Judge Level 2 - Starter. That means that he's completed a minimum 20 hours post qualification experience as a Judge Level 2 - and I happen to know that in reality he's done many, many hours more - and is now officially able to start races. With Club Champs about to start it's a timely reminder that without parents like Vic training up as officials we wouldn't be able to run these competitions. A busy weekend for Hemel's Masters and Senior swimmers got underway in Aberdeen at the British Masters & Senior Age Group Champs. 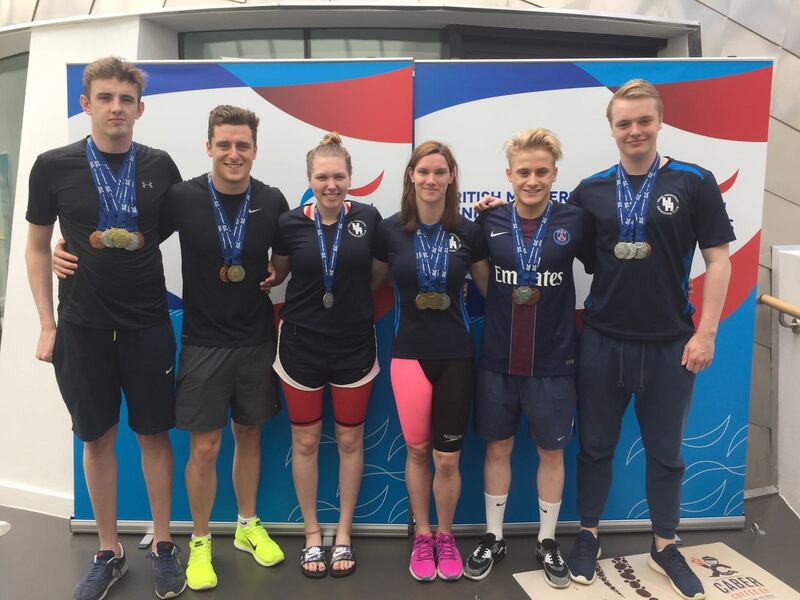 The Hemel team of Jack Christie, Jack Spence, Kira Doyle, Hannah Bennett, Kyle Holmes and Josh Gaines hoovered up medals with Hannah and Jack (S) winning golds in their individual 50 back and 200 back respectively alongside relay golds for the mixed 4 x 100 free and mixed 4 x 200 free quartets. Hannah also set 4 Club age group records - one in an event, the 1500 free, that we haven't recognised for ladies before and which was also an East Region record! Everybody swam really well and worked their hardest in the second round of the Peanuts League. There was great team spirit and everybody should be proud of their performance. 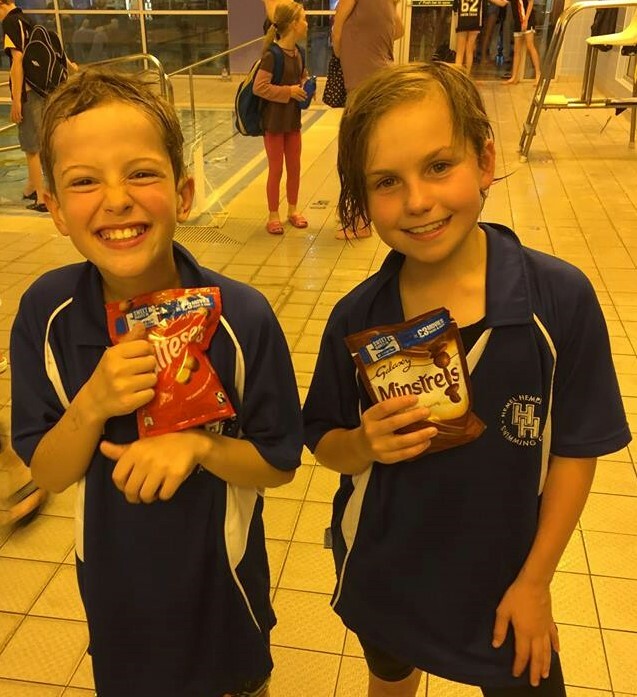 A special mention to Arthur Coldwell and Caitlin Walters who were this round's Swimmers of the Gala, to Millie Herbert and Natalie Krezel who won their individual races and the girls u12 free relay team and girls u13 medley team who won their relay events which along with 25 second and third places helped secure us third overall. Congratulations to Jack Christie, Ashley Coombs, Alice Fender, Shona McKenna and Mattias Morse who have all been selected to represent Hertfordshire at the East Region Inter-county Championship on 2nd July. for breaking two club records in the 25 free and 25 fly, her enthusiasm and good butterfly, but there were lots of stand out swims throughout evening. Congratulations to Alice Fender and Ashley Coombs who have both qualified for the English National Summer Championships in Sheffield in August. Alice qualified in the 200, 400 and 800 free, and Ashley in the 100 free. Mattias Morse and Seyi Bankole both had a very succesful Regional Championships in Norwich with both boys setting new personal best times. 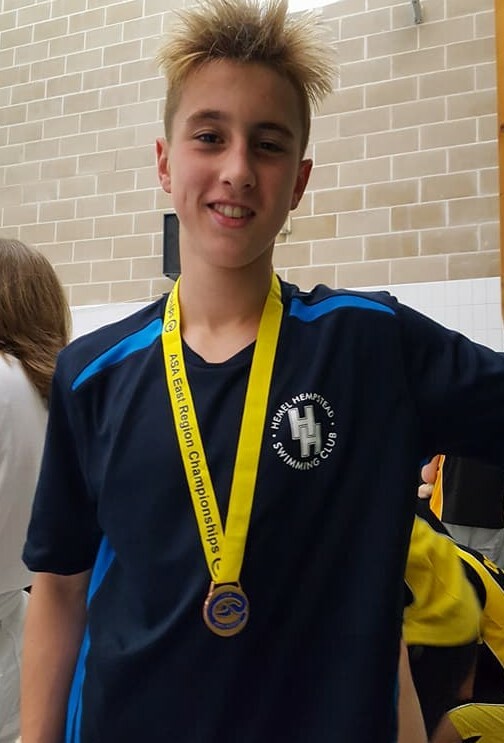 Mattias finalled in the 100 and 200 breast and 100 fly, winning bronze in the 100 breast improving both his time and placing from the heats. Mattias also set a new Club open long course record for the 400 IM.